Partly cloudy. Low 44F. Winds WSW at 5 to 10 mph..
OMAK - Because of weather conditions statewide, the Washington Interscholastic Activities Association has canceled all weekend boys and girls' wrestling tournaments. The organization said the decision was made "in the best interest of safety and equal opportunity for all participants." Snow is predicted statewide this weekend. To address the cancellations, the WIAA staff and event managers are developing a 32-entry WIAA Mat Classic tournament that will begin Friday morning, Feb. 15. Details of that schedule will be released by early Monday, Feb. 11. 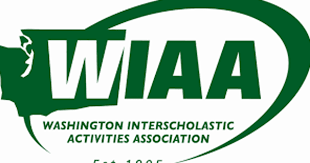 Participants, parents and coaches are advised to work through their school administration with any further questions, WIAA officials said.